India and China are not only very large fast growing economies but very corrupt ones as well. Greenworldinvestor readers would already have read the tons of articles on Indian corruption and Chinese corruption as well. Both the economies have weak institutions and corruption is rife with bureaucrats and leaders boasting of massive illicit wealth. Scams and frauds are quite common in both the countries as the fear of punishment is quite low. In case of India it is almost non-existent with the judiciary often taking 20-30 years to bring about a final judgement. The less said about China’s court system the better and the country’s judiciary is mostly a pawn in the hands of the Communist government. The big risk in that country is that if you fall out of favor with the Communist powers, then you would face the hangman without much of a trial. The solar energy industry has been booming around the world, growing from a niche tree hugger pastime to a hundred billion dollar a year industry. Both India and China have seen solar energy growth exploding in recent times. This is not only due to the favorable economics, but also due to subsidies provided by the governments. And government in both the countries usually means the opportunity of big time corruption. India’s southern state of Kerala was host to a huge solar scandal, which almost brought down the provincial government. It has already created a huge ruckus and the repercussions are still being felt by the Congress government in Kerala. 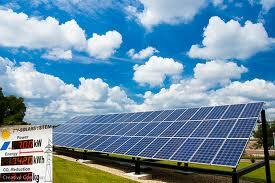 Read more about Solar Industry in India. China too has seen its share of solar fraudsters. Recently a company listed in HK saw its top executives landing in a Chinese jail, after reports that the money raised for building solar factories in the mainland had been siphoned off by the management. Again nothing specific to solar energy here as corporate governance in China remains notoriously bad. Many listed companies have been exposed as outright frauds in the last couple of years, as a result of which the whole Chinese securities has been downgraded with low valuations. Read on GWI more about the Chinese Solar Industry. China Solar Energy stock plummeted after reports that authorities in Dali and Changzhou had seized the company’s assets after it was found that the company did not hold the regulatory capital required of it. Apparently it seems that the money was siphoned off. Investing in Chinese solar stocks is a tough game. Note most of the Tier 2 and Tier 3 solar makers in China have no hope in hell of surviving and as the macro turns direr, the shenanigans of the fraudsters get exposed. You need to be very careful before putting your money in China.